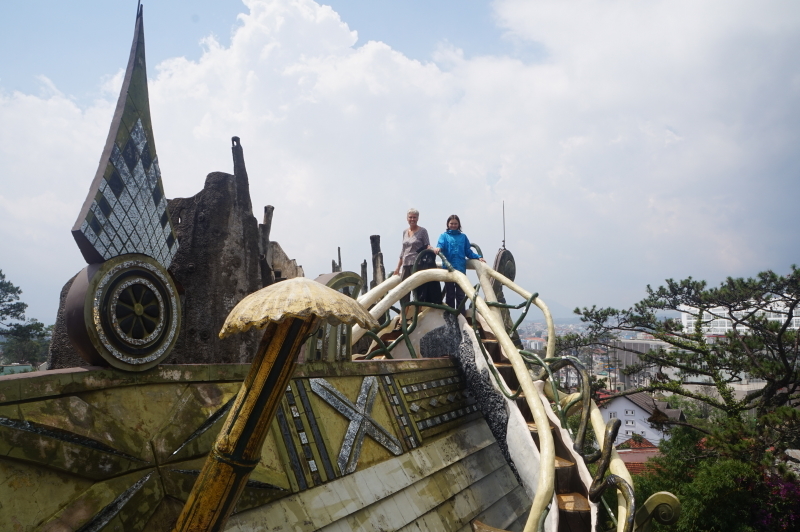 The Crazy House (No, it’s Not our House) | Hello Cool World! Eva here. 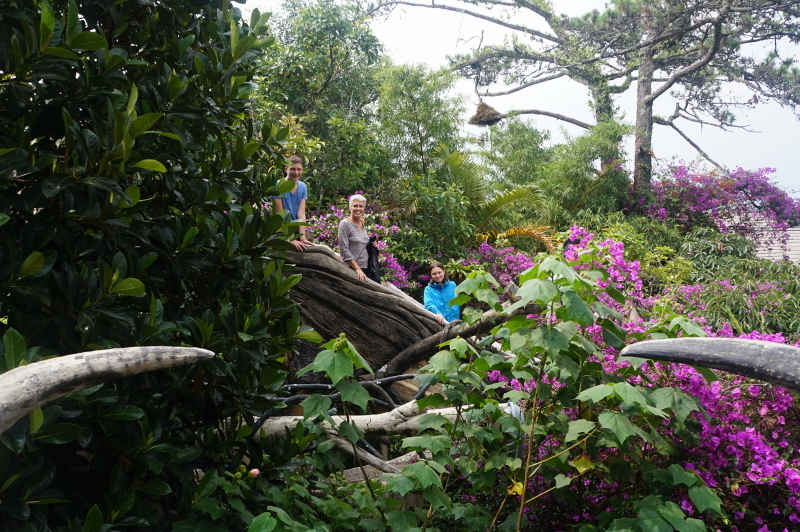 Have you ever been in a house that is like a jungle? Well I have and it was amazing. 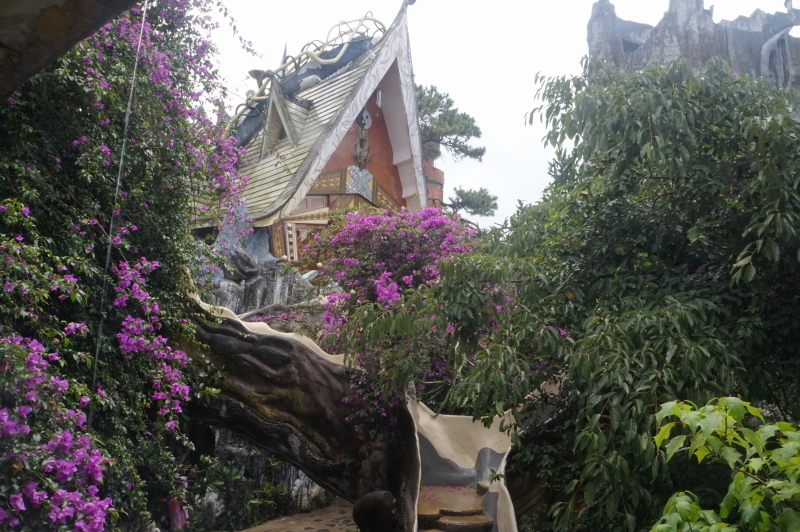 We are now in Dalat, a town in the highlands area where it is much cooler than the rest of Vietnam. We came a few days ago to escape the heat. 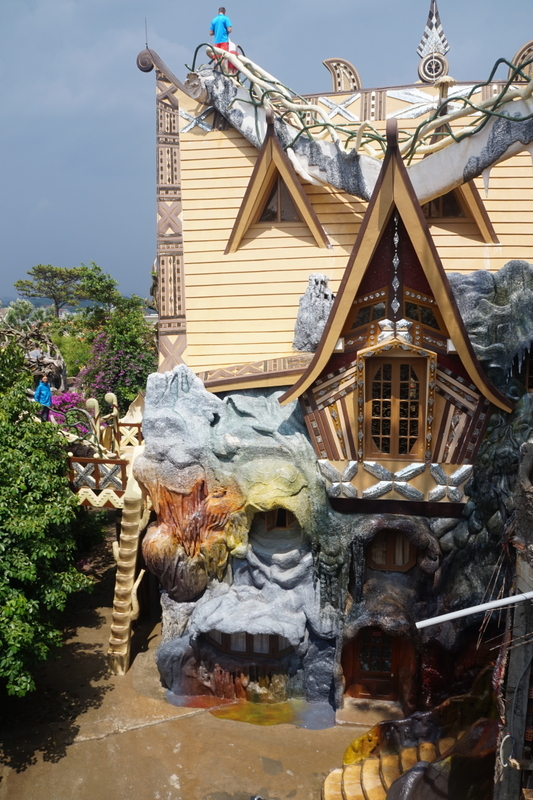 Today we went to the ‘Crazy House’ (it was only nicknamed the ‘Crazy House’ by locals; its actual name is Hang Nga Guesthouse and Art Gallery). It is filled with so many passages that are designed with fake vines and real plants. The rooms are amazing, each with its own name and decoration to match, like the eagle room, the kangaroo room and the tiger room. A small, narrow bridge connects two buildings that are not far apart. Although the bridge is short it was still fun to cross because it has trees growing all around it. No matter where we went, an amazing building or staircase awaited us. The staircases are twisty and turny and very uneven. The windows and doors are all unevenly shaped and sized. The whole time that we were poking around I said that I wanted to live there; it was like we were in a jungle. 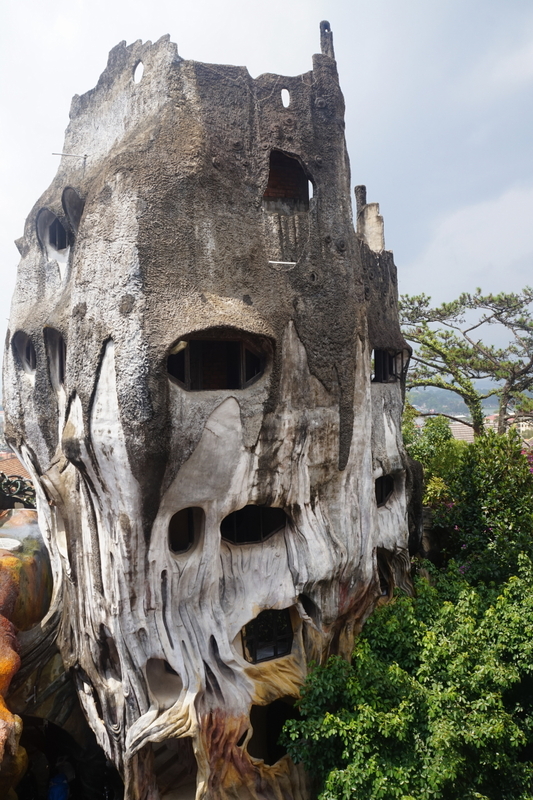 When we were there we learned that the architect was Dang Viet Nga. She built the house to bring people back to nature. One of her earlier buildings, the House with 100 Roofs, was torn down because the government didn’t like it. That’s too bad because the pictures that I have seen look amazing. 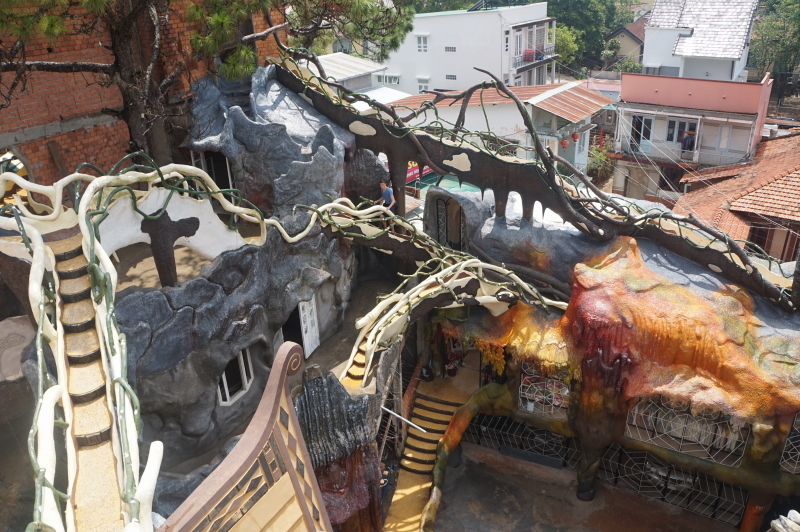 I’m really glad they have not torn down the ‘Crazy House’ and that I was able to see it before something happened to it.